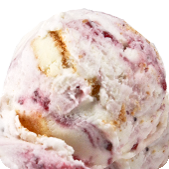 Genuine, award winning, farm fresh, super premium ice cream from Madison, Wisconsin. Cake batter flavoring with ripples of thick chocolate frosting and pieces of cake. 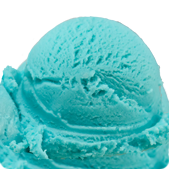 Crisp coffee-infused ice cream with gobs of chocolate covered toffee and candy coated almonds. Spicy cinnamon ice cream mixed with chunks of real apples, crispy cinnamon shortbread pieces and a thick caramel ripple.